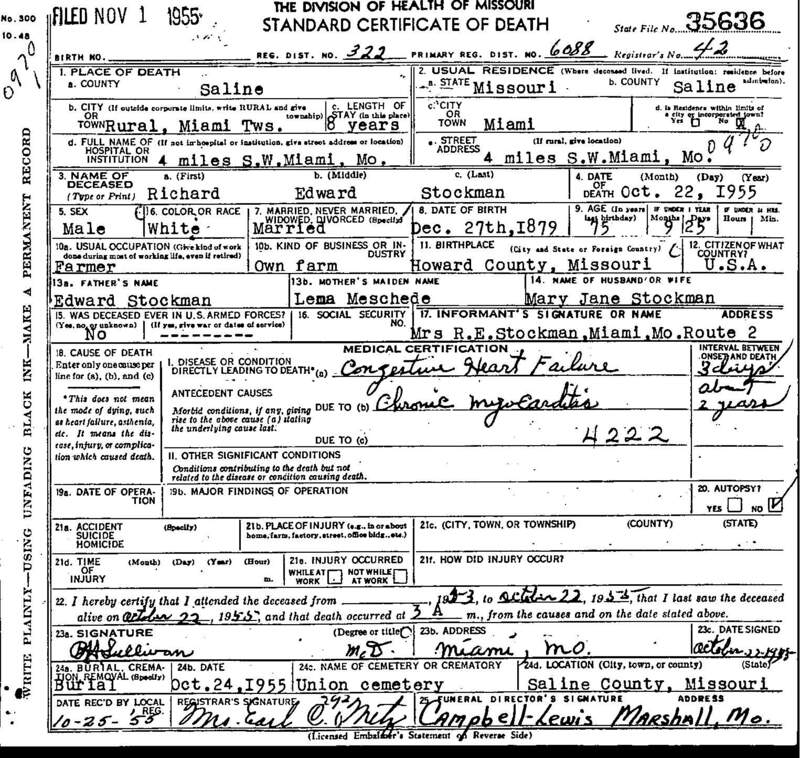 "Death Record - Richard Edward Stockman"
Birth location: Howard County, Missouri. Cause of death: Congestive heart failure. Death location: 4 miles southwest of Miami Township, Saline County, Missouri. Burial location: Union Cemetery Annex, Saline County, Missouri.